The Kasparov Chess Foundation Africa currently utilises a program called MiniChess (http://www.minichess.co.za/) throughout our African operations. We facilitate the implementation of MiniChess in partnership with both local NGO’s and the local chess federations. KCF Africa is currently supporting active MiniChess programs in South Africa, Uganda, Rwanda, Madagascar and Lesotho. We are also in the process of rolling out new programs to more than 10 additional African countries. As part of our operations we provide on the ground training to members of the local chess community and help them create sustainable employment opportunities from their passion for chess. We also empower the local chess federations to build and grow their chess in schools operations into a sustainable business. The MiniChess program is currently delivered to more than 55,000 learners a week across approximately 200 schools. More than 700 educators and instructors have been trained on the program to date including representatives from South Africa, Uganda, Rwanda, Madagascar, Lesotho, Kenya, Nigeria, Ghana, Ethiopia, Sudan and Sao Tome & Principe. The success of the MiniChess program has also led to the launch of a mobile application which is now available for download via both the Apple app store and GooglePlay. 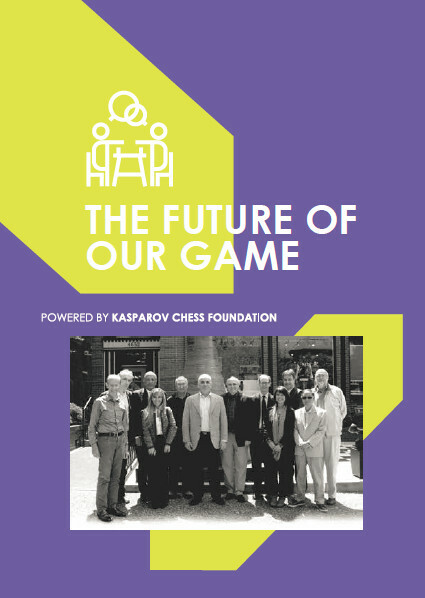 See http://www.kasparov.com/minichess/ for further details on this program.